Resurgent Rajasthan Partnership Summit 2015, a global investor's meet on 19th and 20th November, 2015 in Jaipur. In order to attract investment from private sectors and to sensitise them for investment in the State, Government of Rajasthan is planning a sustained investment promotion campaign over a period of time which would include investor meets, events, conferences culminating into Resurgent Rajasthan Partnership Summit 2015. 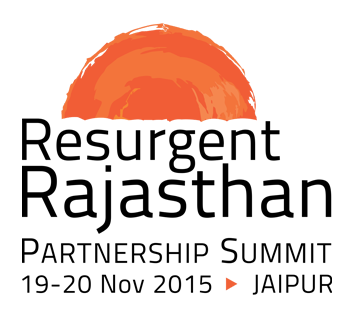 Resurgent Rajasthan Partnership Summit will be organised at the State capital, Jaipur on 19-20 November, 2015. It will be held at Jaipur Exhibition & Convention Center, EPIP Sitapura,Jaipur. This event is a focused endeavor to realize the state’s vision of inclusive growth and long-term development. RR2015 will bring together investors from all over the world (including CEOs and big business owners), high-level government officials, international dignitaries and representatives of foreign missions. 1. Resurgent Rajasthan Partnership Summit 2015 will be held in which city ? 2. Resurgent Rajasthan Partnership Summit 2015 will be held on ? 3. Which Scheme or Policy is available for investment promotion in Rajasthan? - Rajasthan Investment Promotion Scheme-2014. 4. Which is the Nodal Agency for sanctioning benefit on the investment made in the State under RIPS-2014? - For investment upto Rs.10 crore: District Level Screening Committee of the concerned District. For investment above Rs.10 crore: State Level Screening Committee. 5. Does the State have any priority sectors to promote investment? If yes, what are these sectors? 6. What are the benefits available for manufacturing enterprises?